Is a Wedding or some other Special Event in your Future? 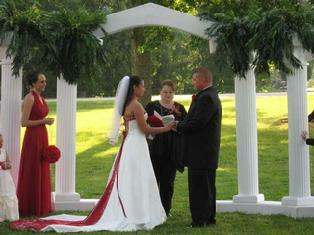 We have excellent places for an outdoor country wedding in the yard, under our large gazebo or in our 100 Seat Banquet Hall. Many services are available on site, increasing the ease of your Special Event. Scroll through the images below to view some of our recent events.